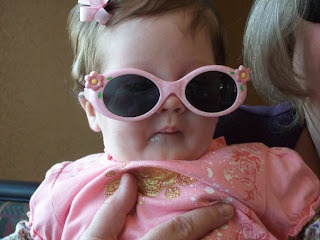 As requested by Poppy, I found a picture of Elizabeth in her cool shades:) I'm doing horrible with pictures, I had to steal this one from grandma's facebook. Congrats! Where are you guys moving to?